Terms and Conditions Apply: For rates and fees of the SimplyCash® Plus Business Credit Card from American Express, please visit this rates and fees page. The SimplyCash® Plus Business Credit Card from American Express is a popular business credit card with no annual fee and a solid cash back rewards program. Those rewards favor the sorts of business purchases that most entrepreneurs need to make on a regular basis: office supplies, communications, advertising, shipping, and travel. SimplyCash Plus also comes with broad baseline cash back earnings, making it a strong candidate for everyday, general spending. The SimplyCash Plus Business Card competes with a number of business-oriented rewards cards, including The Blue Business Plus Credit Card from American Express and Chase Ink Cash Business. SimplyCash Plus earns 5% cash back on the first $50,000 spent on eligible purchases made at all U.S. office supply stores (such as Staples) and with wireless telephone services (such as Verizon and AT&T). Above the limit, purchases in these categories earn an unlimited 1% cash back. Note that office supply or communications purchases not made directly with specialized office supply or telecom merchants (for instance, printer paper or prepaid cell phones purchased at Walmart) don’t qualify for the 5% category. However, you still earn 5% cash back on non-office supply and non-communications items purchased at office supply or communications stores (for instance, candy at Staples or a phone case at the AT&T Store). SimplyCash Plus also earns 3% cash back on the first $50,000 spent in the spending category of your choice: airfare (purchased direct from airlines), hotel stays (purchased direct from hotels), car rentals, gas station purchases, advertising, shipping, restaurant meals, or computer hardware and software at select providers. Above the $50,000 caps in the 5% and 3% categories, purchases earn an unlimited 1%. All other eligible purchases also earn an unlimited 1% cash back as well. Accrued cash back is automatically applied to your account as a statement credit at the end of each billing period. Enjoy 0% APR on purchases for 15 months from account opening. For rates and fees of the SimplyCash® Plus Business Credit Card from American Express, please visit this rates and fees page. There is no annual membership fee. Foreign transactions cost 2.7% of the total transaction amount, regardless of denomination. Late and returned payments both cost $38. This card’s shopping benefits include purchase protection against theft and damage for 90 days after each covered item’s purchase, and 12-month extended warranties on items whose original warranties last five years or less. With this card’s Expanded Buying Power feature, you can spend beyond your credit limit to make bigger purchases for your business while earning cash back on those purchases. However, your additional spending power isn’t unlimited – it adjusts with your card use patterns, payment history, credit record, financial resources known to Amex, and other factors. No Annual Fee. This card doesn’t come with an annual fee, a noteworthy benefit for budget-conscious business owners. 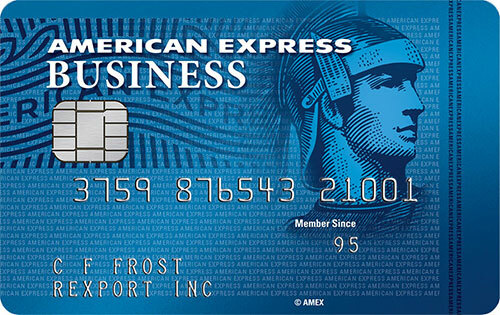 Rival cards such as Chase Ink Business Preferred ($95) and the Business Gold Card from American Express ($295) do have annual fees. Earn Up to 5% Cash Back. SimplyCash Plus earns 5% cash back on office supplies and direct communication purchases, up to $50,000 total per year. That works out to potential cash back earnings of $2,500 annually, which can make a huge difference for business owners who watch every dollar. By contrast, Capital One Spark Classic for Business offers a flat 1% cash back on all purchases. Choose Your 3% Cash Back Category. SimplyCash gives you the flexibility to choose your own 3% cash back category. If there’s a particular category that you plan to spend frequently in, this is a huge potential value boost. U.S. Bank Business Edge World Elite MasterCard, which also offers a 3% cash back category, doesn’t let you choose its application. Strong Introductory Interest Promotion on Purchases. This card has a 15-month 0% APR introductory promotion on purchases. If you’re planning a substantial business investment too large to pay off in a single month, this is your opportunity to save hundreds on interest charges. Cash Back Automatically Accrues to Your Account. With SimplyCash, you never have to worry about redeeming your cash back. That’s automatically done for you at the end of each billing period. Most other cash back business cards require you to manually redeem your rewards, a potentially inconvenient extra step that’s easy to get lost in the shuffle of everyday business obligations. 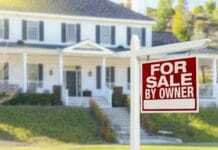 Has a Foreign Transaction Fee. This card’s 2.7% foreign transaction fee is a big bummer for business owners who routinely travel beyond the United States’ borders. The Capital One business credit card family (Spark) doesn’t charge foreign transaction fees. Spending Cap for 5% and 3% Categories. 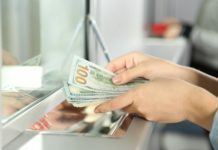 The 5% and 3% cash back categories are both capped at $50,000 spending per year, which may be a limitation for larger businesses with higher spending requirements. If you expect to exceed this limit in the normal course of events, consider alternatives such as the Business Green Rewards Card from American Express, the Business Gold Card from American Express, and the Business Platinum Card from American Express. No Cash Welcome Offer. This card has no cash welcome offer. That’s bad news for new cardholders seeking bonuses on spending right out of the gate. If you haven’t considered applying for the SimplyCash® Plus Business Credit Card from American Express or another business credit card because you don’t think you qualify as a business owner, it’s time to take another look. Even if you’re a sole proprietor without formal incorporation, you may still be eligible for this credit card if you certify that you intend to use it only for business expenditures. In many cases, filing a Schedule C with your income taxes, signifying that you’re self-employed, is enough to demonstrate that you’re a business owner – whether you oversee a one-person operation or a multi-employee company. It’s important to remember that while the SimplyCash Plus Business Card’s terms resemble those of many consumer credit cards, business cards are exempt from some of the key provisions of the CARD Act, such as the requirement that cardholders regularly be notified of changes in terms and conditions. For rates and fees of the SimplyCash® Plus Business Credit Card from American Express, please visit this rates and fees page. The SimplyCash® Plus Business Credit Card from American Express is a straightforward business cash back card that’s ideal for smaller entrepreneurs whose moderate spending needs hew toward office supplies, communications, and other general business categories. It’s not as useful for business owners with higher spending requirements, nor for those in search of more varied rewards programs. The potentially generous cash rewards, automatic cash back deposits, solid introductory APR promotion, and lack of an annual fee are nice. The existence of spending caps, general spending limits, and foreign transaction fees (which can hamper the airline and hotel benefits, should cardholders choose them) are drawbacks. Overall, this is a nice business cash back card for small business owners.